Our new Premium Villa in Ovacik for sale is located on the higher level of Ovacik with great views towards the Babadag Mountains. 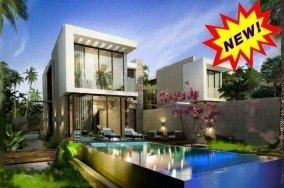 You have two options of villas on this development both with 4 bedrooms. All villas have their own private gardens and swimming pool and are in walking distance to all the local shops, bars and restaurants. Villa Model 1 is numbered A, B, C, D, E and is of an L shape design with the main living area on the ground floor and two bedrooms on each of the upper floors. In this villa there is a large family bathroom on each floor for the two bedrooms. 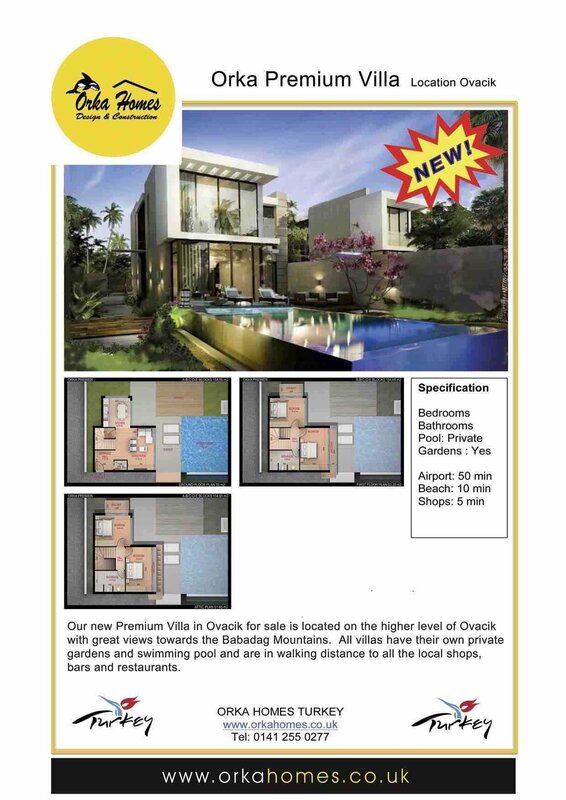 Villa Model 2 is numbered F, G, H, I, J and are of a slightly different design with the main living area again on the ground floor and two bedrooms on each of the upper levels. In this style of villa each bedroom has an en-suite shower room and W/C. Each villa has its own swimming pool which can be accessed trough the lounge area and various patios and terraces for sunbathing.